Save money with the DJI Spark Fly More Combo, which offers everything beginner and drone enthusiasts need to get started exploring the exciting world of aerial photography and video. 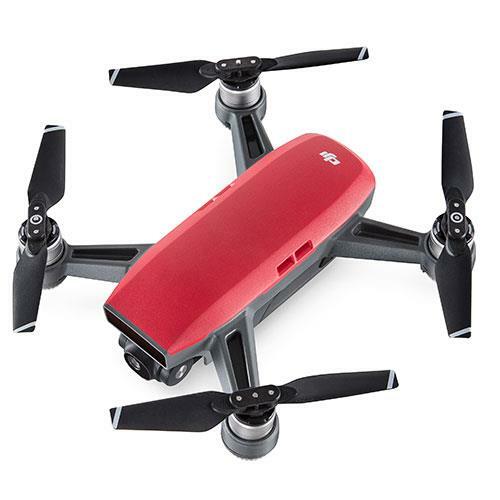 Easy to control and lightweight, the Spark mini drone features a host of intelligent flight modes and controls to take the complexity out of piloting a drone. The Spark has a high-resolution Full HD camera with a 25mm f/2.6 wide-angle lens and 2-axis gimbal stabilisation. 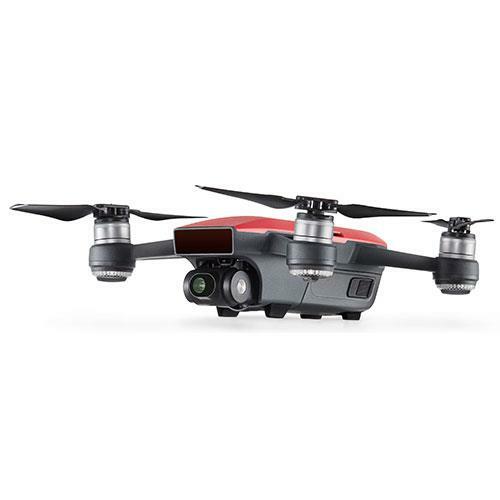 The Spark can transmit real-time HD video footage using Wi-Fi for up to 1.2mi and its intelligent flight battery offers up to 16 minutes of flight time when fully charged. Armed with 24 powerful processing cores, an advanced 3D sensing system, a visual positioning system, dual-band GPS and high-precision inertial measurement capabilities, the Spark can hover accurately at up to 98ft (30m) and sense obstacles from up to 16ft away, as well as landing safely by itself. 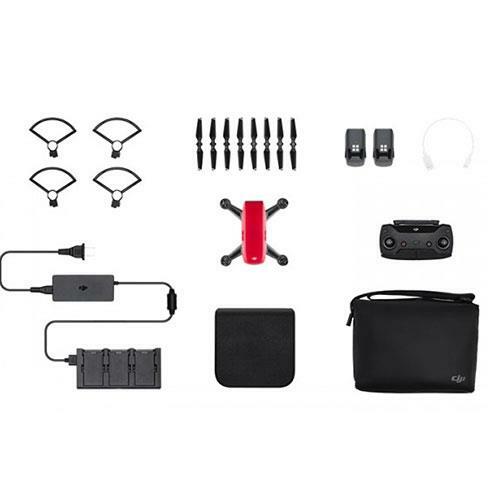 The DJI Spark Fly More Combo contains the Spark remote controller, 2 x intelligent flight batteries, spare props, a battery charging hub, storage box, propeller guards and a shoulder bag. Investing in this combo will give you around 45 minutes of flight time (up to 16 minutes per battery). The padded shoulder bag features weather-resistant design and zippers, great for taking your drone out on long walks. Worn over the shoulder, this multi-purpose bag measures only 25 × 10.5 × 18cm. 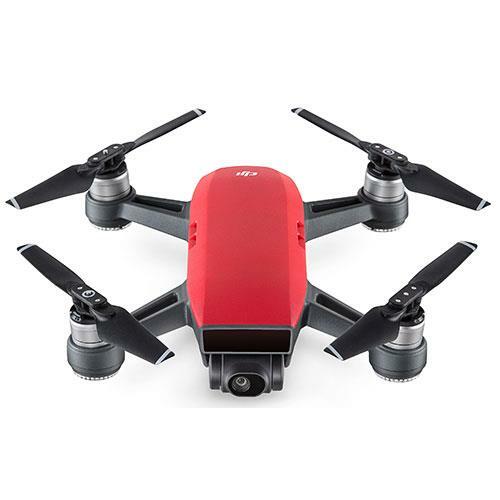 The Spark can be launched from flat surfaces or from the hand and is capable of video recording in up to 1080/30p quality, giving you crisp footage with richly saturated colours. It can also be used for drone photography, capturing 12-megapixel JPEG images. Taking group shots or portraits with the Spark is enhanced by its intelligent ShallowFocus mode, which uses 3D technology to create an attractive shallow depth of field effect. The 2-axis gimbal of the Spark helps to keep footage smooth and images sharp, even in wind and when the drone is in motion. Using satellite positioning, the Spark can be tracked from its controller or a compatible smart device. It can also be called to return to its last take off position by touching the return-to-home button or at a user-defined low battery warning point. 12 intelligent protection functions help Spark drone pilots fly safely and responsibly. Assisting users to avoid obstacles, collisions and even no-fly zones, using DJI’s constantly updated GEO system. As well as manual controls, the Spark comes with some of DJI’s latest autonomous flight capabilities such as QuickShot and ActiveTrack, enabling it to perform specific automated camera movements while focusing on a chosen subject/point of interest. Designed to work with or without a controller, the Spark responds to a range of gestures, allowing for controller-free operation to capture panoramic shots, selfies or following your movement for example. Beginners who aren’t familiar with drone control sticks can use TapFly to tell the Mavic where they want it to go while they simply focus on controlling the camera’s gimbal to capture the scene. The precision controls of the Spark allow you to perform slow cinematic camera movements or fly at up to 31mph when in Sport Mode. Capture, edit and share using your smart device as the DJI GO app records your footage and stills, as well as the microSD card in the drone. This means you can output quick edits of flights and share with the DJI community or your own social networks. The DJI GO app also provides detailed flight information and a clear heads up display while flying, whether you’re using the DJI controller paired with a smart device or just your smart device. 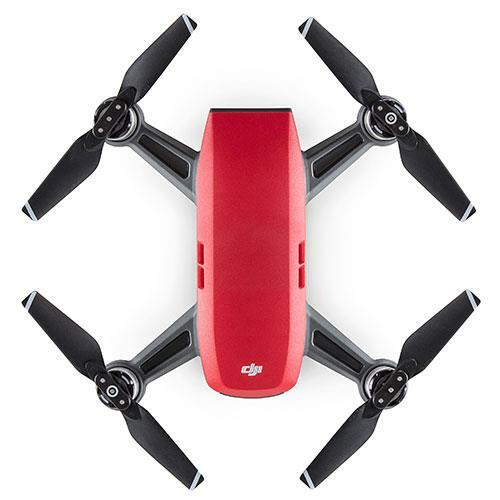 Additionally, the DJI Spark is compatible with the DJI Goggle headset which connects to the drone wirelessly and provides a uniquely breath-taking hi-res first person view of the drone’s camera while in flight.